San Francisco will be switching from a Payroll Expense Tax to a Gross Receipt Tax starting in 2014.
Business in San Francisco will have to make adjustments to the new law that changes the way they pay corporate taxes. San Francisco currently have a 1.5% Payroll Expense Tax in place that taxes all businesses with a taxable San Francisco payroll expense greater than $150,000. 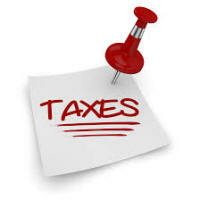 This tax is being phased out between 2014 and 2018. It will be replaced by the Gross Receipt Tax. The Gross Receipt Tax will be applied based on the industry your business is in and the amount of gross receipts. The Gross Receipt Tax rate will range from $0.75 per $1,000 to $5.60 per $1,000 on gross receipts of $1,000,000 and above. The rate is tiered based on the level of gross receipts. Small Businesses with gross receipts less than $1,000,000 will not be subjected to the Gross Receipt Tax. Learn more about the new tax.